We gladly await all those that are looking for a relaxing stay in the beautiful city on the riverbank of Bega. 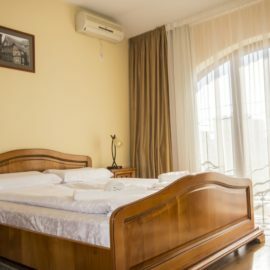 If you are coming for tourism purposes or just for business, Normandia pension is the best choice for you, being situated a few minutes away from the most important places in Timișoara. 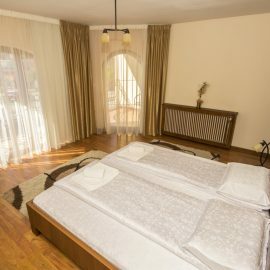 Normandia Pension is the place in which intelligent solutions of relaxation techniques will be the very reason for your coming back the next time you visit Timișoara .We wait you with warmth and hospitality to ensure a pleasant and unforgettable stay. For all of those wishing to have fun, we recommend the clubs situated near the pension or for the football fans, Dan Păltinișanu stadium. The 3 stars, the spacious rooms, the bathrooms with an impeccable hygiene and the terrace in which you can serve a coffee, do nothing else but to complete a pleasant environment. 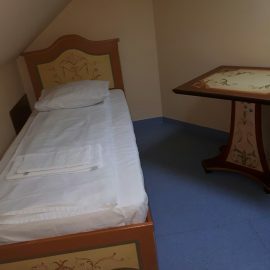 For a staying “just like home”, the comfort ,modernism of the rooms and the careful qualified personnel represent the key of a successful stay. 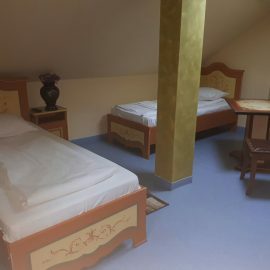 Choosing to be our client you benefit of a series of special services that include: Free Wi-fi, free parking surveillance, air conditioning, a terrace, GSM-GPS coverage, assistance at the reception 24 hours, safe, fax. * The prices in euro will be calculated at the reception based on the daily currency. * The prices do not include breakfast. Pensiunea Normandia offers everything you need. As you may know, Romania’s internet is one of the world’s top regarding it’s speed. Our customers can have a breakfast at their choice choosing from a list of different meals.